Flax- A creative portfolio WordPress theme. This theme is mainly related to portfolio to showcase your work with better design and with the responsive layout with retina ready display support that adapts any resolution of the screen for displaying your website. 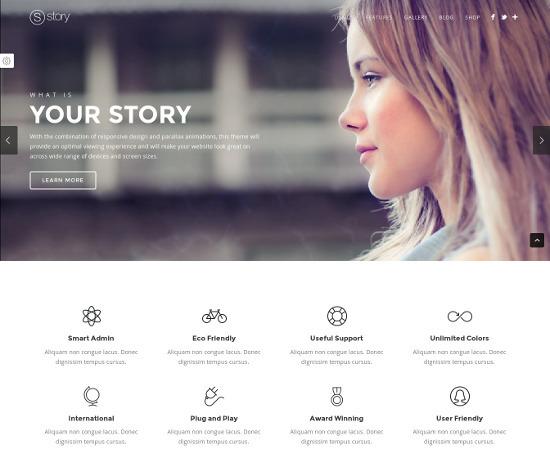 This theme provides 15+ handcrafted page layout. In this theme multiple plugin are included for getting the good interface and make it more impressive like: Visual Composer, Revolution slider and ACF plugin, by using these plugin you can give your site more attractive look than others. Visual composer plugin gives a drag and drop page builder option for building the pages layouts, revolution slider is used for managing the content in the header with attractive look and attract the customer towards your website and services, ACF plugin provides the advanced custom field which is useful for customizing WordPress with powerful, professional and intuitive fields. This theme is translation ready which is important for the Multilanguage and multilingual support of language by only including files in the theme. This theme is designed with SEO optimization in mind which is helpful for ranking your website on search engine. To create a Portfolio website of any kind, you must have good knowledge about themes and it features. After using this theme for a long time I must say it is the one you can go with as it gives you a chance for multipurpose portfolios. 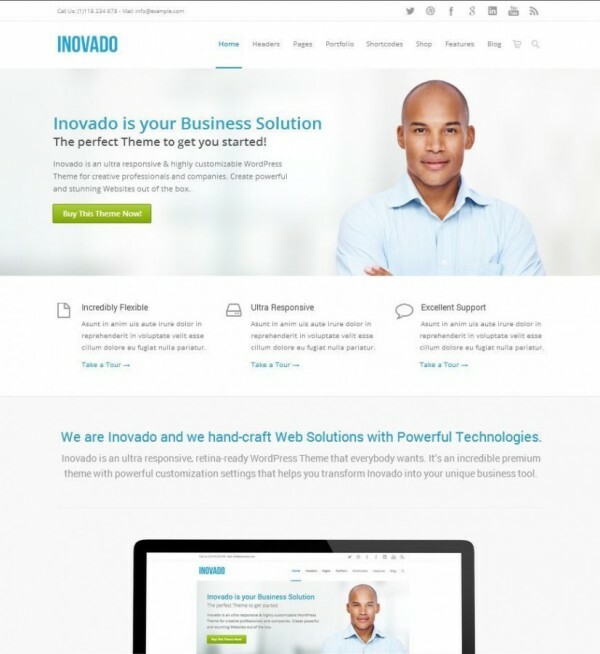 Clean and Responsive Portfolio WordPress theme.